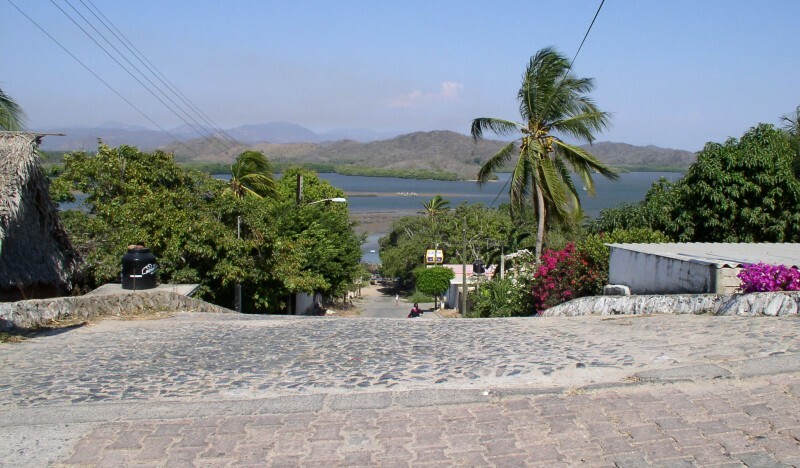 Colimilla is a small community on the lagoon across from Barra de Navidad. 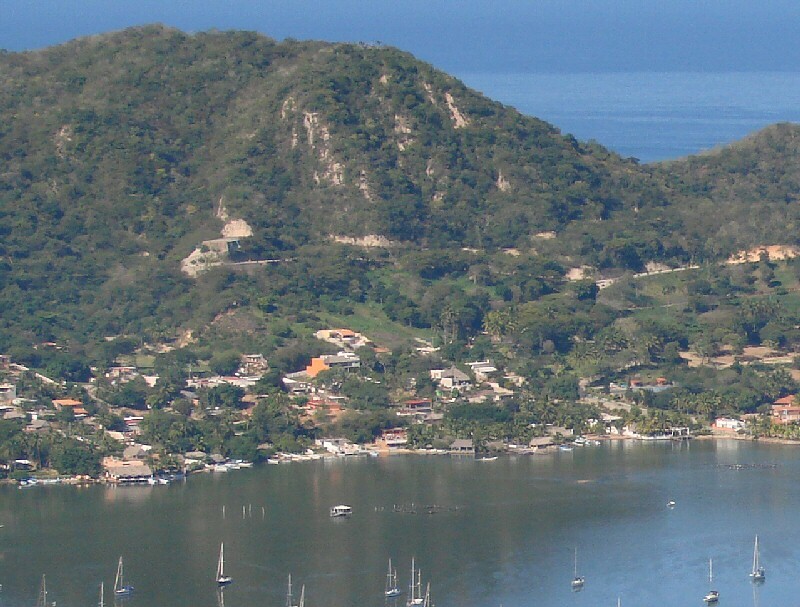 The town is accessed either by boat from Barra or by the Isla de Navidad road. The Isla de Navidad road intersects Highway 200 at GPS 19°12.803'N 104°37.012'W. 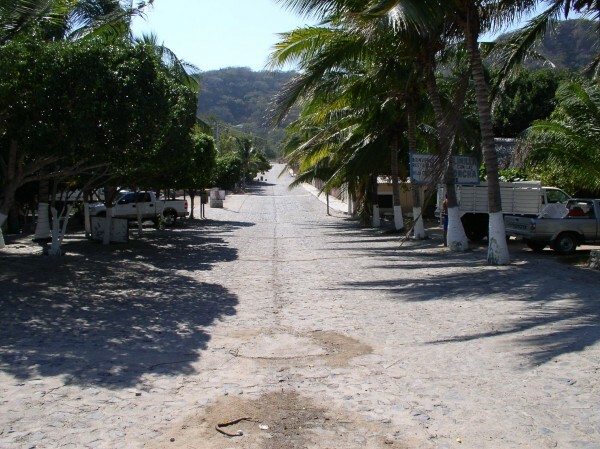 Drive to the end of the road, enter the Isla de Navidad resort and follow the signs to the golf course until you see a sign to Colimilla. Restaurante Colimilla is recommended and there are other restaurants in the town as well which I didn't get to try. 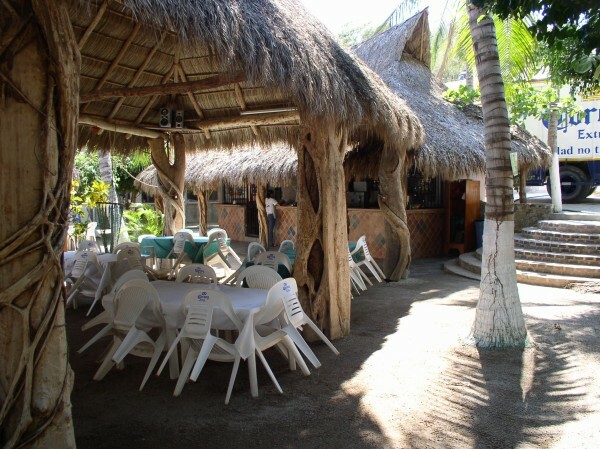 Restaurante Colimilla is closed on Tuesdays except on holidays. GPS 19°11.488'N 104°40.787'W. 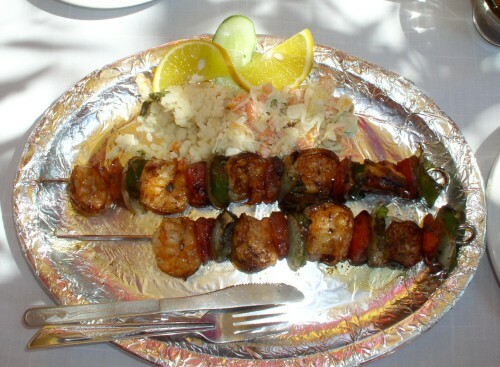 Here is my brochetta de camarones at Restaurante Colimilla for 90 pesos (2/06). Excellent. Tienda Maria is a popular food store in Colimilla that sells fresh local vegetables, fresh packaged vegetables, cheeses, frozen meats, etc. Located next to Restaurante Fortino.